The winners of the 2015 Irish Comic News Awards were announced December 5. And two additions were made to the Irish Comic News Hall of Fame, first given in 2011. 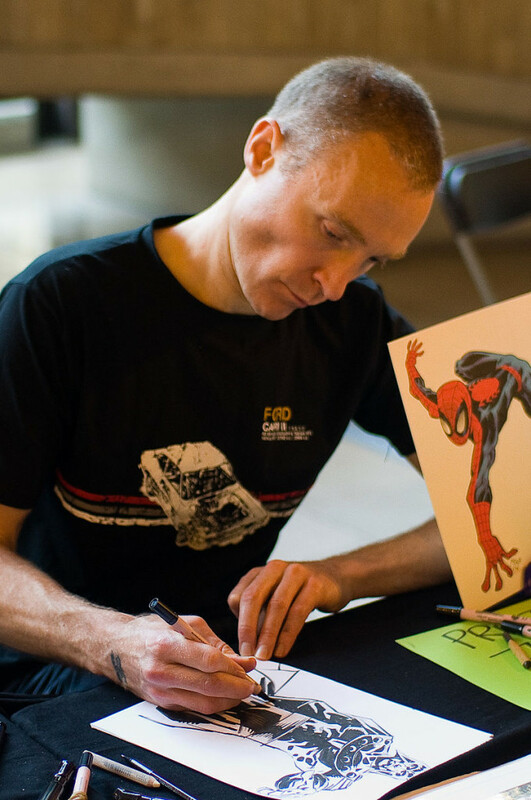 Belfast born artist John McCrea is best known for his collaborations with writer Garth Ennis. He broke into American comics working with him on Hitman for DC. He is currently working on a spin-off mini-series, All Star Section 8. He has worked on a variety of projects for Marvel, IDW amongst others, recently stepping into the creator owned world of Image with Mythic (with writer Phil Hester). The Earthbound God by Anthea West (editorial assistance by Ruth Redmond, published by Dustbunny Comics in 2013). This entry was posted in Awards, Graphic Examples and tagged Irish Comic News Awards, Irish Comic News Hall of Fame by Mike Glyer. Bookmark the permalink.